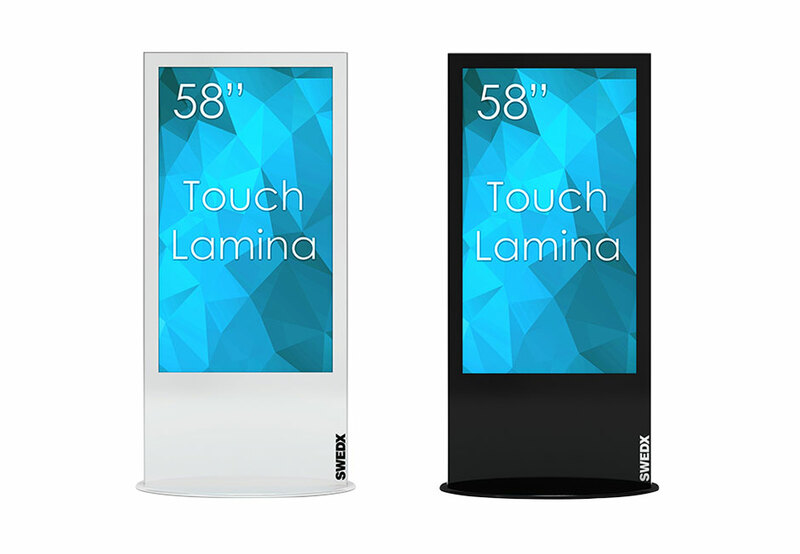 ABCOMDSS brings you one of the thinnest kiosks on the market with 4K resolution and touch capability. Don’t just ‘wow’ your audience – blow their socks off! The kiosk is an impeccably made Swedish design with a focus on a personal feel by combining warm materials and natural colors. 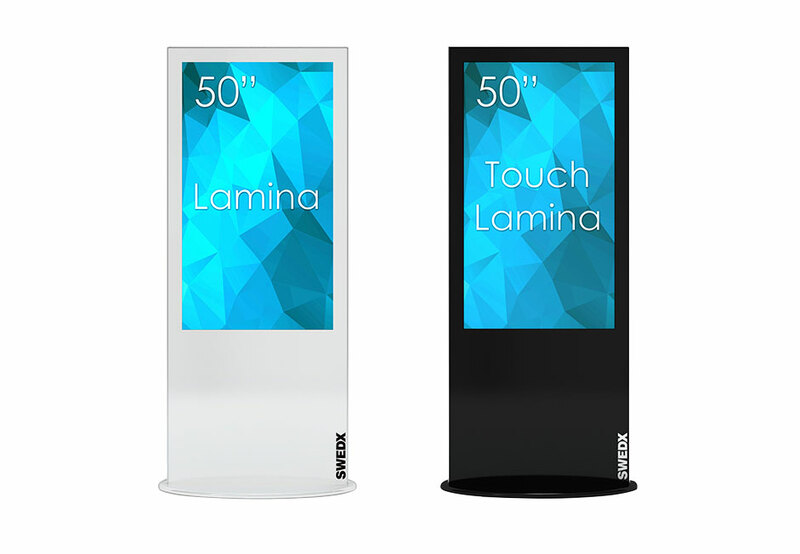 Measuring in at less than 2″ in depth, not only will you attract all audiences, but you will also save on floor space! The optional IR Touch Sensor has the capabilities of up to 10 points of simultaneous touch allowing the user to have an individualized or collaborative experience. Play and Loop video files including .MP4, .MPG, .AVI, .MOV and more with a built in media player plus room for your own player, which is located in the rear of the kiosk with access through a safe, lockable door. 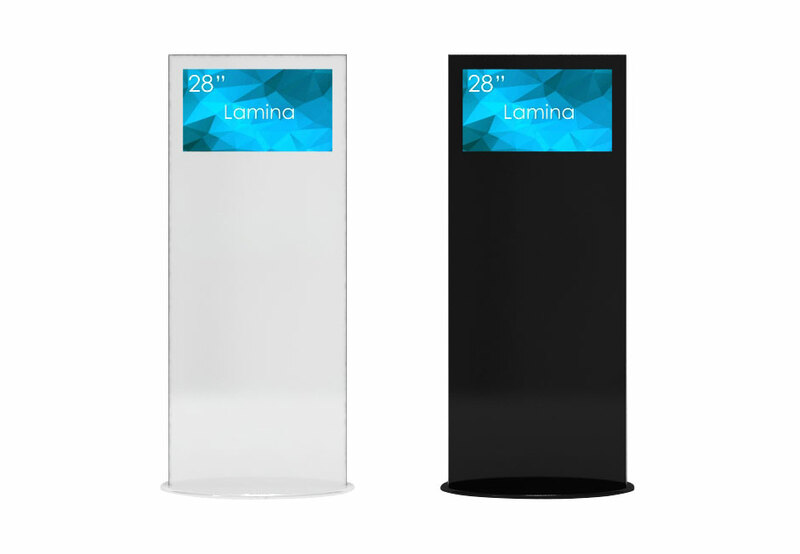 Kiosks are available in 3-sided, double sided or single sided. Touch options available for most sizes. Ultra thin profile ONLY 2.6″ in Depth! 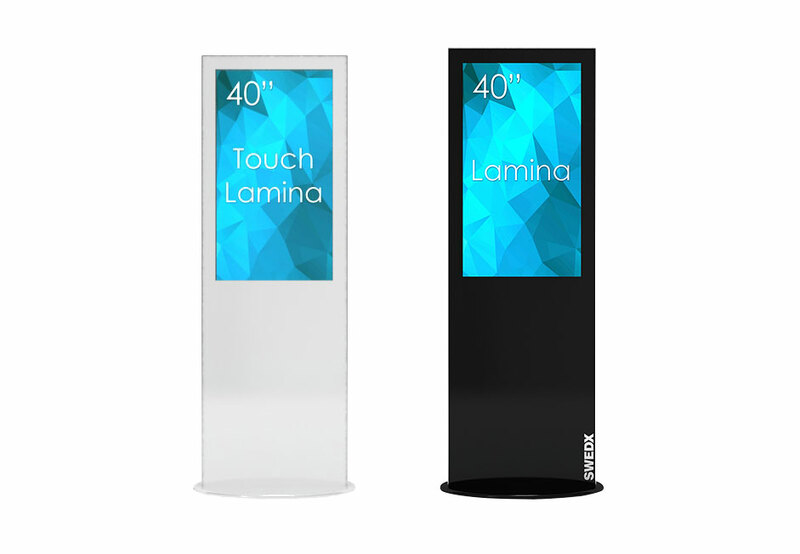 Reach out to a SWEDX Lamina Kiosk specialist today!